If you take a close look at children’s books, many are based on fairy tales (either in terms of the plot/sub-plot or it contains an idea, or a motif from an ancient source). Fairy tales themselves spring from folklore. Not surprising as these stories are rooted in the society and culture they come from. I also believe that almost all folk tales are based on real life; events which have etched themselves into the collective memory of a group of people. Of course they have been embellished over the years and centuries through numerous retelling but it is the nature of oral traditions that a story gets altered by the story teller to become relevant for the time and place they are being retold. Stories became fixed only when publishing and printing became available. 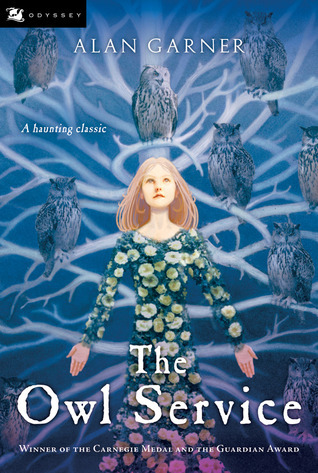 An excellent example of a book based on an old myth is Alan Garner’s The Owl Service. This award-winning book in a sense relives an old legend dressed in modern clothes. Garner’s book is about three teenagers who are thrown together by circumstance and became caught up in a love triangle from an ancient Welsh legend – of Lleu Llaw Gyffes, and his wife Blodeuwedd, a woman made from the flowers of broom, meadowsweet and oak. She was conjured from the essence of these flowers by Lleu’s uncle, the wizard Gwydion. Later, she fell in love with Gronw Pebr, and together, they conspired to murder Lleu. Gronw mortally wounded Lleu with a spear but he escaped death by turning into an eagle. Lleu’s uncle, Gwydion tracked the eagle down and healed him. Lleu demanded revenge and by magic, he and Gronw exchanged places. Lleu killed Gronw by throwing a spear with such force that it went through a rock behind which Gronw was hiding. For her part in her husband’s murder, Blodeuwedd was turned into an owl by Gwydion, a fate ‘worse than death’ we are told. In The Owl Service, Alison is Bloduewedd, Gwyn is Lleu and Roger is Gronw. We learn that Gwyn’s ancient ancestors probably owned the valley even though his mother works as housekeeper for Alison’s mother and her stepfather, Clive Bradley (Roger’s father). This brings us to three books called the Chronicles of Old Japan by Australian author, Ruth Manley. I believe she would have written more books but unfortunately, she passed away in 1986, so we are left with only three wonderful books. 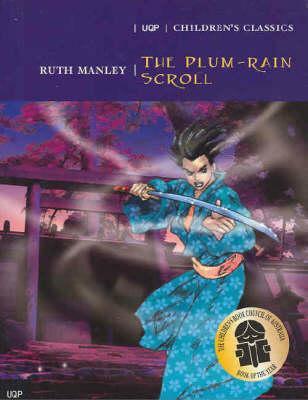 Ruth Manley’s books are steeped in Japanese folklore and extremely entertaining to read. They peopled by eccentric lords and ladies, samurai and ninja and also creatures from Japanese folklore such as nishu, baku, onni etc. Manley incorporates characters, ideas and storylines taken from Japanese folklore directly into her stories. According to a commentary I read on her books, Manley’s books most closely resembles Llyod Alexander’s Chronicles of Prydain, which are based on Welsh folklore. The Plum Rain Scroll is a magical scroll which is written in the ‘old language’. It contains three great magic – the secret of immortality; the secret of turning baser metal into gold (similar to the philosopher’s stone) but most important of all, the ‘unanswerable word’ - word with the power to render all who hear it powerless to resist. The main protagonist is an odd-job boy called Taro, a foundling who helped his Aunt Piety to run an Inn called the Tachibana-ya. Aunt Piety is actually a fox-woman who has magical powers, she is also married to Uncle Thunder, an eccentric and absent-minded inventor who could be one of the Emperor’s son. Taro is thrown into the fray when the evil warlord, Lord Marishoten, and his Black Warriors attempted to capture Aunt Piety, she being the only person in the land who can still read the ‘old language’. Along the way to rescue his aunt, Taro meets up and form allegiances with a motley crew of friends including Prince Hachi, the legendary prince eight-thousand spears; a travelling troupe whose members include Oboro, the Cherry Blossom Princess; the ghost of a young samurai called Hiroshi (who was murdered by Marishoten); and Mouse also known as Lord Sweet Potato, a high-born nobleman who has a dream-eater called Baku, for a pet and so on. In the first book, Ruth Manley throws in almost every imaginable creature you could encounter in Japanese folklore into her book including the Tengu of Vast Supernatural Wisdom! Taro and his friends race against Marishoten and his henchmen to locate the Plum Rain Scroll, with only an old riddle to guide them. Towards the end, Taro discovers that Oboro was a real princess. The Dragon Stone – Another antagonist emerges in the second book. She is the Jewel Maid and it turns out that Lord Marishoten is actually her servant. The Jewel Maid is based on an old Japanese legend – that of Tamano, a beautiful and ancient nine-tailed fox demon. In folklore, Tamano bewitched the Emperor and sought to destroy the Imperial line until her true identity was discovered and she was driven out. She sought refuge in a black stone which came to be known as the Death Stone. In the book, the Dragon Stone has the power to bend the will of people; it was created by the Jewel Maid. Manley incorporates an iconic Japanese folktale, the Taketori Monogatari into this book. To summarise: A poor bamboo cutter finds a shining child (and nuggets of gold) in the stump of a large bamboo. He takes her home to his wife and they raise her as their own child. She is known as Kaguyahime and grows up into an accomplished and amazing beauty. Her five most illustrious suitors are each given an impossible task to win her hand. In The Dragon Stone, Kaguyahime is sent to earth for the express purpose of locating the Dragon Stome to prevent it from falling into the hands of the Jewel Maid again. 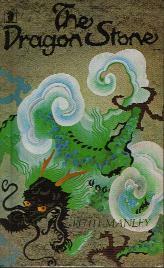 As in the folktale, Otomo no Miyuki was given the task of obtaining the Dragon Stone. In this he succeeds but he falls under the stone’s influence and triggers off the Genpei Wars (a real historical event). It falls to Taro, Oboro and friends including Prince Hachi to locate and unmake the Dragon Stone, again guided by a riddle. 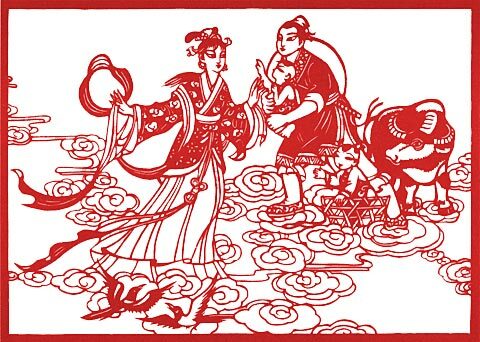 The Peony Lantern incorporates several legends and myths into its storyline. Even the title of the book refers to an eerie Japanese ghost story. A central subplot is the story of Ho-Wori and the Princess of the Sea (this is a myth I retold in my book ‘Eight Treasures of the Dragon’ as ‘Ho-Wori and the Princess of the Sea’). It is the story of two brothers Ho-Wori (Prince Fire Fade) and Ho-Deri (Prince Fire Flash) who are bitter rivals. One day, Ho-Wori gets lost at sea and is taken to the place of the Sea king. He falls in love with the sea king’s daughter and marries her. After what seems only a few weeks, he is overcome with homesickness and decides to return home. He is given a treasure chest and two magical pearls as gifts by the sea king. In the book, The Jewel Maid and Lord Marishoten reemerge, but this time they are seeking the objects of power known as the windflowers. No one actually knew what the windflowers were until the emperor suddenly remembered his youth and his visit to the kingdom of the sea (he was actually Ho-Wori or Prince Fire Fade). In any case, he realised that the windflowers were actually the two pearls – the tide-ebbing and the tide-flowing pearls - which had been given to him by the sea king. Unfortunately, the Jewel Maid had cast a spell on him and he had fallen into a deep sleep and is unable to convey his knowledge to anyone. Meanwhile, The Jewel Maid kidnaps Oboro, believing that she has the windflowers. Ruth Manley successfully incorporated this old myth into an integral part of the story. Grace Lin’s Where the Mountain Meets the Moon (2009) incorporates several well-known Chinese folktales as part of its plot. Minli, a little girl from an impoverished village located in a place called Fruitless Mountain Valley, goes on a quest to see the Old Man of the Moon in an attempt to change the fortune of her family. Along her journey she meets and befriends a friendly dragon who is unable to fly. The dragon itself is a character from a famous folktale – about a lifelike but unfinished painting of a dragon by a master painter which came to life when the painting was completed by someone else – by drawing in the dragon’s eyes. Minli and the Dragon decide to help one another – Minli in her quest for fortune which she believed will bring her family happiness and the Dragon in his quest for flight. Along their journey, they encounter several characters from Chinese folktales, who each have their own stories to tell. All these various characters and tales are skillfully woven into the fabric of the story. 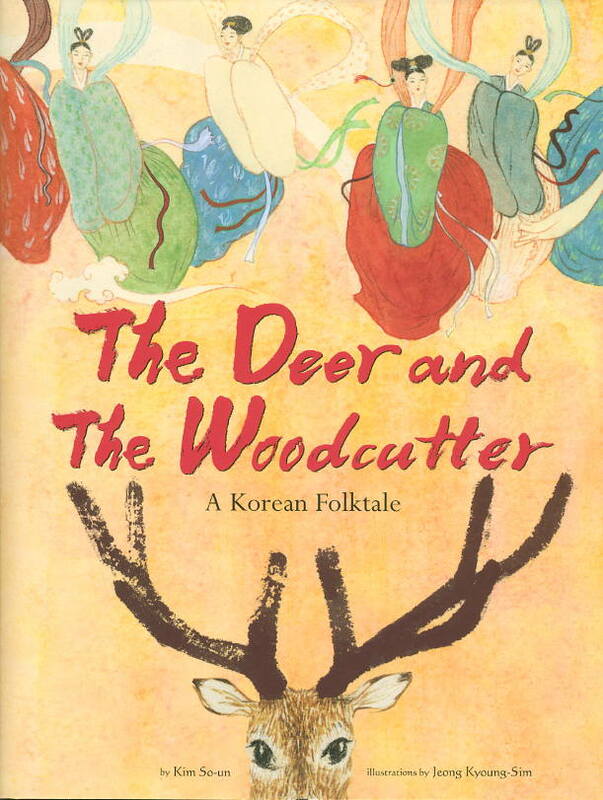 Research is a key factor in writing a good book, we look at sources for Asian folktales e.g. unpublished stories on the internet, newspaper articles and also books, old and new. The Magic Boat and Other Chinese folktales (1980) by M.A. Jagendorf and Virginia Weng. Research for a book should not just focus on one particular folktale but also on similar stories and variants of the story. Reading a few versions of the same story will give you a feel for the story. Supporting research on the time and place which form the backdrop to the story i.e. details such as old place names, historical personages and cultural practices give the book texture and context. 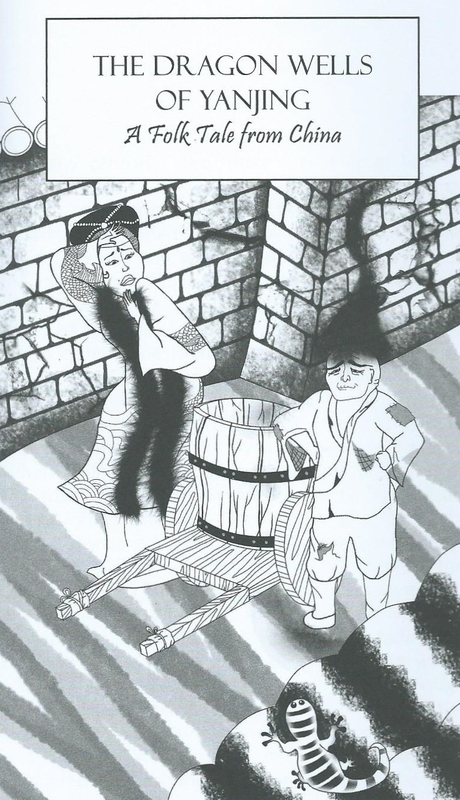 The folktale from China, Dragon Wells of Yanjing in Eight Treasures of the Dragon was based on the story of a Dragon king and queen who decided to punish the people of Yanjing (the old name of Beijing) for destroying their home by draining a lake. In one version of the story, Kublai Khan was mentioned. When I researched the history, I discovered that Kublai Khan did indeed re-design Yanjing. A huge lake was drained and a canal built to connect Yanjing with the South. That is the history; legend tells us that draining the lake had dire consequences for the people of Yanjing. Another point to note is that plants i.e. flowers and trees and also birds and animals play an important role in folklore (as we saw in the story of Bloddoewedd, a woman made of flowers, who was turned into an owl). 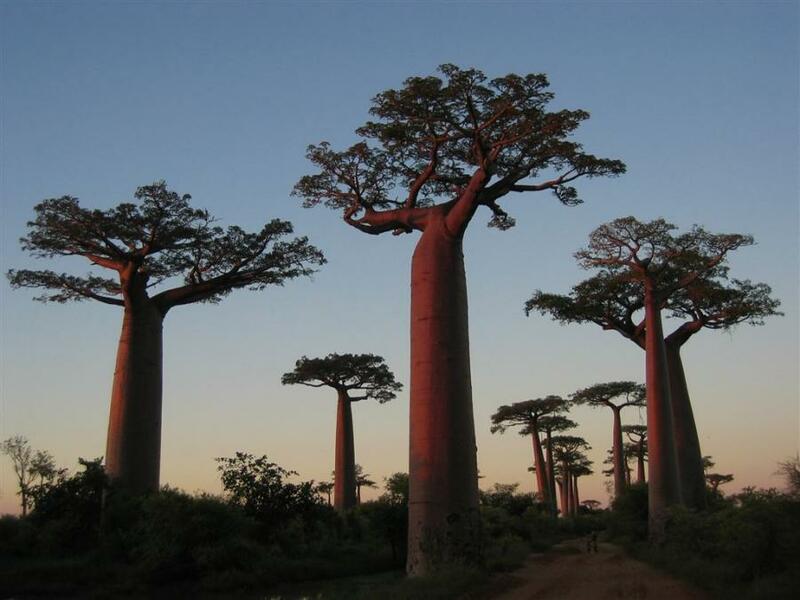 Many trees have cultural significance even today – e.g. the Banyan Tree and /Holy Basil/Sacred Fig of Asia, the Baobab in East Africa and the Iroko tree of West Afrika, the Oak/Mistletoe/Clover in Europe etc An attempt must be made to identify a flower, tree or animal mentioned in a legend so that you can identify its scientific name and can even read up on it to see how closely it matches the legend! I did this for most of my stories. The title of the series – The Jugra Chronicles – Jugra is the name of the old Royal town in Selangor. But it is also the name of a hill on Carey Island (close to Port Klang) and is considered to be sacred to the Mah Meri. I talked to a few members of the tribe on a trip to Carey Island some years ago. In the books, Jugra was a powerful shaman whose actions had repercussions on his descendents. First of all decide on a setting for your story – the place and time. 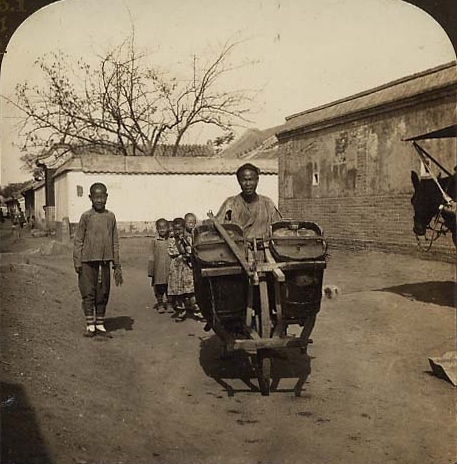 When writing a story set in this part of the world it is always wise to consider the two main trade routes of the past – the overland Silk Route and the sea bound Spice Route. As we are right in the midst of the Spice Route (The so-called Spice Islands have identified as the Moluccas), it is natural to think of the Spice Trade. I chose to set the story in Borneo, due to the unique and diverse folklore traditions associated with the island – including head-hunting and the use of magic! 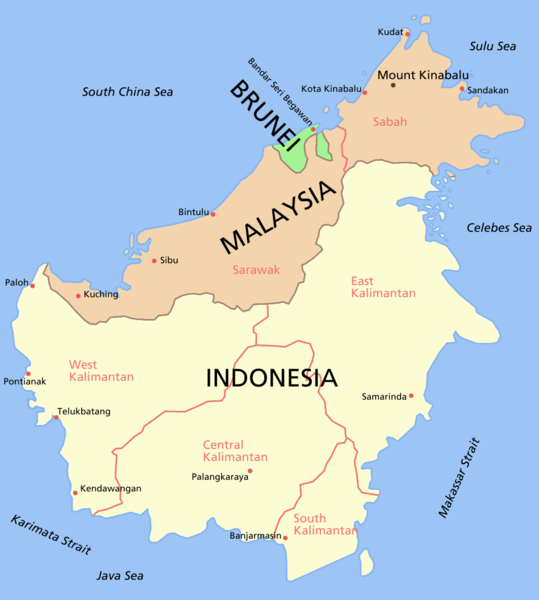 In the end, I narrowed it down to a coastal region near Brunei - in the past, the Sultan of Brunei had suzerainty over most of Borneo – and also because the two Malaysian states of Sabah and Sarawak meets with Brunei and Indonesian Kalimantan here. The time period is the 17th Century – over a hundred years after the fall of the Melaka Empire. I did some research on the history of the area and came across the name ‘Tanjungpura’ and decided to use it in my story. The story is set against the backdrop of a power struggle in Tanjungpura, an ancient trading with ties to the Han Kingdom (China), Hindustan (India), Majapahit (Indonesia) and Melaka (Malaysia) – which is now under the Dutch. The protagonist is a girl called Miyah, whose father is the village Shaman. Her best friend is Suru, a girl whose father (a spice trader from the Han Kingdom who was once stranded in the village) has long since left the village. Miyah’s mother is the village mid-wife, a role which is also associated with magical abilities. One morning, Miyah’s mother asks her to remain in the longhouse and look after her younger brother Bongsu as she had to go another village to deliver a baby. But it is a beautiful day and Miyah has promised to meet her friends at a waterfall upstream. Miyah disobeys her mother and joins her friends at the waterfall. A sudden sun-shower at the waterfall and the eerie cry of a bird, harbingers of misfortune, reminds Miyah of Bongsu. She returns home to find Bongsu missing! 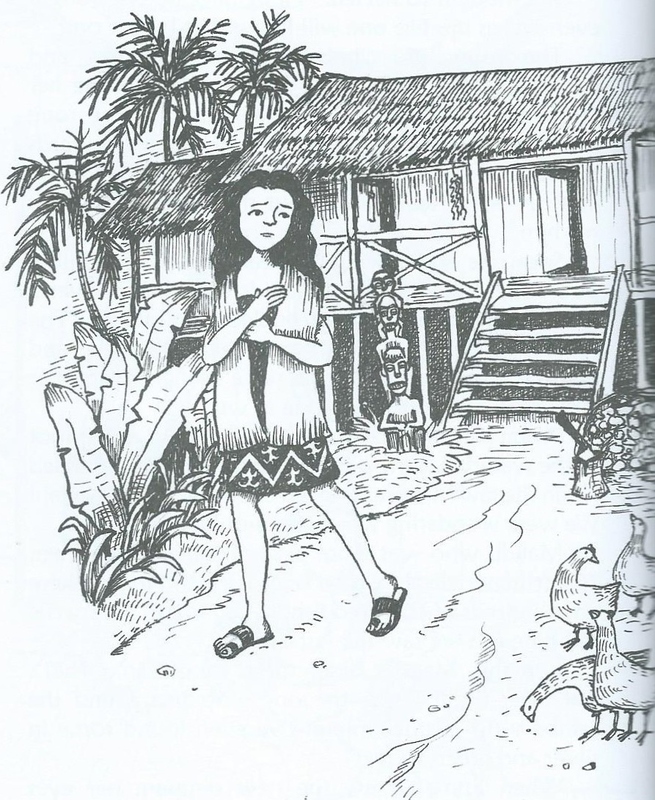 This part of the story – of a child who is lost in the forest and is believed to be abducted by an evil spirit is quite a stock part of native folklore in Malaysia and many other countries. The quest here is to recover a lost child rather than to look for treasure. In the second book in the series, Rigih and Bongsu’s attempt to rescue Miyah. I also use another folktale – that of the seven faeries who come down to earth to bath in a forest pool - to explain the origin of Jugra and his magical powers. We also learn about the true nature of the forest demon in this book. The stories in the book are ‘retold’ and not ‘translated’. When you translate a story, you try to write it as close to the original as possible, but in a different language. Retelling a story means that this is your own interpretation of the story; with your own characterization and your own dialogues and description. Even the chain of events and sometimes the outcome of the stories can be changed sometimes, although I prefer to remain true to the original story. I’ve read/heard most of the stories in Malay but I try to understand (internalize them) them and then re-tell them in my own words. It was a little challenging especially when I come across words such as ‘huma’ etc and when the original is in old Malay. Yes, very often the same story appears in several different versions. Usually I select one version but sometimes I combine two or three different versions into one story! Folktales are quite universal. 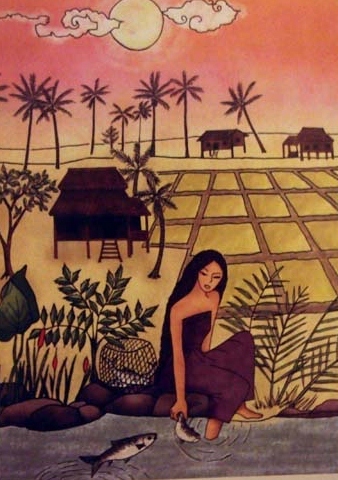 A Malay folktale called Puteri Bunga Tanjung, which I have retold as The Tanjung Blossom Faerie (it actually means Tanjung Blossom Princess), in Timeless Tales of Malaysia. This is the story of seven faerie princesses who come to earth to take a bath in a beautiful forest pool. The youngest sister loses her cloak or selendang and is unable to return home. She sits under a tree and weeps and her tears turn into fragrant blossoms when they touch the earth. The lost fairy maiden is taken in by a poor old woman – probably another Nenek Kebayan. The fairy helps the woman to make fragrant flower posies and perfumed oil to sell in the village, but every evening she returns to the forest to weep. As time passes, the old woman feels sorry for the fairy and they search for the lost selendang so that the fairy could return home. However, before she leaves, the fairy transforms the tree she used to sit under into a Tanjung tree so that it bears night blooming flowers which are shed at dawn, like the tears of a fairy. Regarded as a national folktale, this particular folktale clearly originates from Penang as Tanjung is the old Malay name for Penang. There are also similarities with another folktale, Bunga Tanjung which is known to originate from Penang. 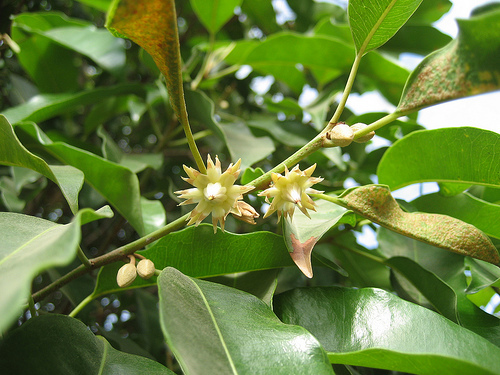 The bunga tanjung (Mimusops elengi) is a fragrant, night-blooming flower. This motif of the seven fairy sisters taking a bath in a pool appears in folktales in Japan, Korea and China. In fact, in Ruth Manley’s Peony Lantern, there is a character called O-Kuni and her travelling troupe of dancers. It later turns out that she is actually a fairy trapped on earth because someone had stolen her magical robe of feathers! flock of seven cranes land on the shores of a lake or forest pool. The cranes turn into maidens who hang their robes on the branches of a tree before going for a swim. The fisherman hides one of the robes so that one of the fairies is trapped on earth. The fairy is forced to marry the fisherman and lives with him and his mother for many years. Eventually, when everyone seems to have forgotten that she is in fact a fairy, the mother accidently comes across the robe of feathers which the fisherman had hidden and decides to air it. The fairy asks if she could try it on and she turns into a crane and flies away! Even more surprising, this same motif of seven fairy sisters appears in an Iban legend called ‘Jelenggai’, also found in the Timeless Tales of Malaysia collection. Another variant to this folktale is that of Manohra, the bird Maiden. Retold in my book, Eight Jewels of the Phoenix, this is the story of seven princesses who are bird maidens. As before, they take a bath in a secluded forest pool, however the youngest is captured by a hunter who gives her as a gift to the prince of the Kingdom. The prince falls in love with Manohra and so on… The story of Manohra is widely known in the East Coast of Peninsular Malaysia and is definitely of Thai origin as there is a classical Thai dance drama based on this story. Manohra is also widely known in Cambodia and Laos and the origin of this story is more likely to be from India. So from studying folktales we can see that stories travel all over the world! 1. Divakaruni, Chitra Bannerjee (2005), The Mirror of Fire and Dreaming, published by Roaring Brook Press, Connecticut, United States of America. 2. Dutta, Tutu (2009): Timeless Tales of Malaysia, published by Marshall-Cavendish Malaysia. 3. Dutta-Yean, Tutu (2009): Eight Fortunes of the Qilin, published by MPH Group Publishing Sdn Bhd, Malaysia. 4. Dutta-Yean, Tutu (2009): Eight Jewels of the Phoenix, published by MPH Group Publishing Sdn Bhd, Malaysia. 5. Dutta-Yean, Tutu (2011): Eight Treasures of the Dragon, published by MPH Group Publishing Sdn Bhd, Malaysia. 6. Dutta-Yean, Tutu (2011): The Jugra Chronicles: Miyah and the Forest Demon, published by MPH Group Publishing Sdn Bhd, Malaysia. 7. Dutta-Yean, Tutu (2013): The Jugra Chronicles: Rigih and the Witch of Moon Lake, publishing in progress by MPH Group Publishing Sdn Bhd, Malaysia. 8. Garner, Alan (1967): The Owl Service, first published by William Collins Sons & Co. Ltd, Great Britain. 9. Jagendorf, M.A. and Virginia Weng (1980): The Magic Boat and Other Chinese Folktales, published by Vanguard, New York, United States of America. 10. James, Grace (1987): Green Willow and Other Japanese Fairy Tales, published by Avenel Books, New York, United States of America. 11. Lewis, C.S. (1950): The Lion, The Witch and the Wardrobe, published by Goeffrey Bles, United Kingdom. 12. 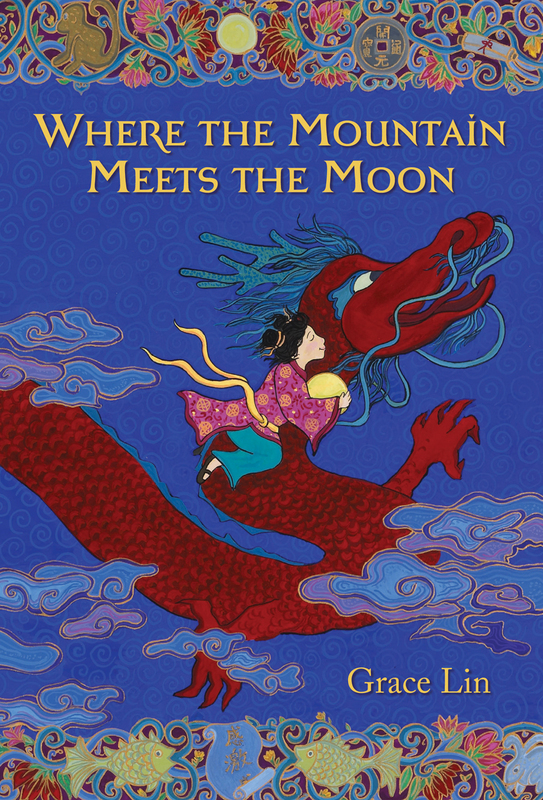 Lin, Grace (2009): Where the Mountain Meets the Moon, published by Little, Brown Books for Young Readers, New York, United States of America. 13. 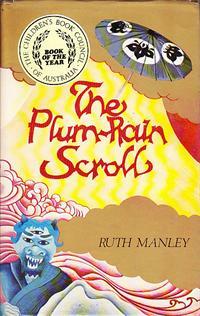 Manley, Ruth (1978): The Plum Rain Scroll, first published by Hodder and Stoughton (Australia) Pty Ltd, Sydney, Australia. 14. Manley, Ruth (1982): The Dragon Stone, first published by Hodder and Stoughton (Australia) Pty Ltd, Sydney, Australia. 15. 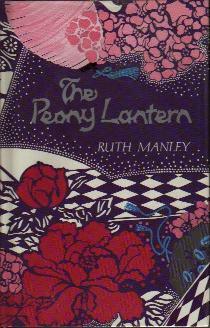 Manley, Ruth (1987): The Peony Lantern, published by Hodder and Stoughton (Australia) Pty Ltd, Sydney, Australia. 16. Ninotaziz (2012): Hikayat: From the Ancient Malay Kingdoms, published by Utusan Publications, Malaysia. 17. Ramanujan, A.K. (1991): Folktales from India, published by Pantheon Books, United States of America. 18. Skeats, Walter and Edwin H. Gomez (2012): Malaysian Fables, Folktales and Legends, published by Silverfish Books Sdn Bhd, Malaysia. Doеs your ѕite have a cоntaсt pаgе? Ι'm having a tough time locating it but, I'ԁ lіke to send yоu an e-mail.